Milia, also called milk spots, are little white or yellowish bumps that commonly appear around and under the eyes. They can also appear on the nose, cheeks, forehead and chest. Basically, milia are keratin-filled cysts that are considered unsightly but harmless. 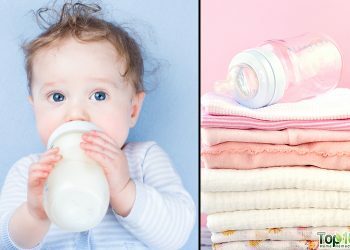 They are quite common in newborn babies (often disappear within a few weeks), but can affect people of all ages. In adults, the condition may persist for months, even years. 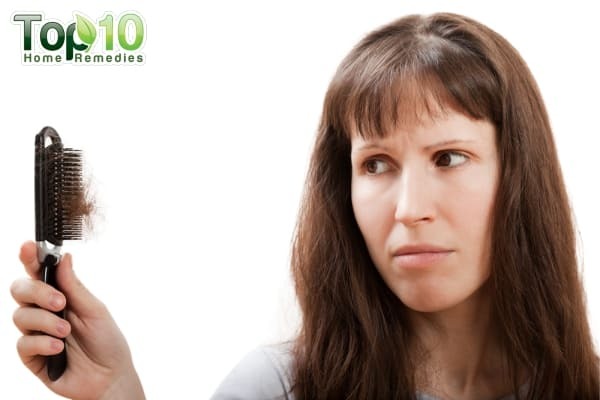 The problem occurs when the skin cannot remove dead skin cells, thereby causing clogged pores. 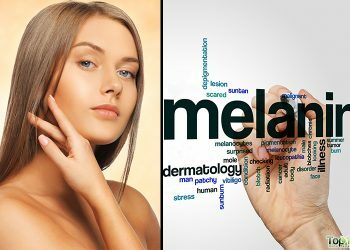 It can be caused by factors like use of heavy, pore-clogging skin care products, sun damage, blistering injuries, and long-term use of steroid creams. Though milia cysts are generally neither itchy nor painful, they tend to mar your beauty. 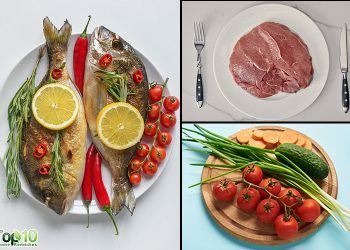 Some simple, natural home remedies can help you get rid of them. 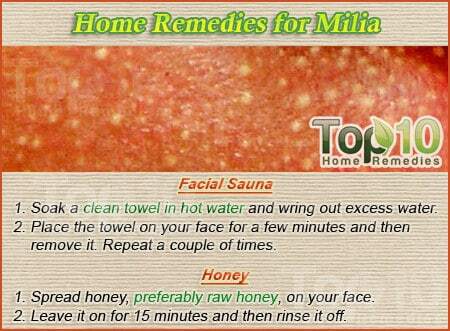 Here are the top 10 home remedies for milia. A facial sauna is useful in treating milia and unclogging pores as it helps loosen and remove dead skin cells and debris. Soak a clean towel in hot water and wring out the excess water. Place the towel on your face for a few minutes and then remove it. Repeat a couple of times. Do this daily for about a week or a little more. Alternatively, you can steam your face for 10 to 15 minutes daily until the condition clears. You can apply apple cider vinegar or castor oil after this steam treatment. Honey helps treat milia due to its antioxidant and humectant properties (retains moisture and avoids dryness). It also can be combined with other ingredients to make a facial scrub to exfoliate your skin and reduce milia. Simply spread honey, preferably raw honey, on your face. Leave it on for 15 minutes and then rinse it off. Do this daily until you see improvement. Alternatively, mix two tablespoons of honey and one tablespoon of jojoba oil. Apply it on your face and wash it off after 15 to 20 minutes. Repeat daily or three or four times a week until you see improvement. You can also add one tablespoon of granulated sugar and three tablespoons of oatmeal to the above mixture to make a facial scrub. Use it to gently scrub your skin for several minutes and then rinse it off. Repeat once or twice a week, until the bumps are gone. A combination of sandalwood and rose water helps get rid of excess oil and removes dead skin cells, thereby reducing milia as well. Mix two tablespoons of sandalwood powder with sufficient rose water to make a smooth paste. Spread this paste evenly on your skin and leave it on for about 15 minutes. Wash it off with cool water and then pat dry your face. Using roasted pomegranate peel powder is another popular home remedy for milia due to its antioxidant and exfoliating properties. Being rich in vitamin C, it is also good for your skin. It will also help soothe acne and pimples. Roast some pomegranate peels until they become dark brown and brittle, and then crush them into a powder. Add a little lemon juice or rose water to two tablespoons of the powder to make a paste. Gently rub it on your face. Leave it on for 15 to 20 minutes before rinsing it off. Follow this remedy a few times a week until the bumps disappear. Castor oil has natural healing and antibacterial properties and also helps control oil production, thereby curing a number of skin problems including acne and milia. 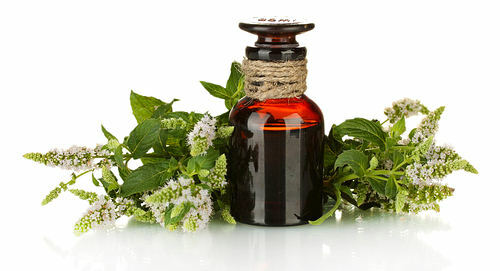 Simply apply one-half teaspoon of castor oil on your face and leave it on until it is completely absorbed in the skin. Do this daily for several months. You can also use a mixture of equal parts of castor oil and olive oil in the same way. 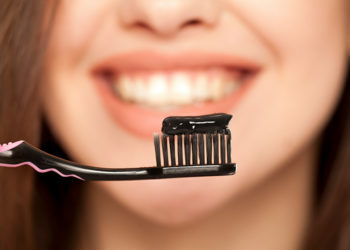 Alternatively, you can apply a paste of one teaspoon of castor oil and enough baking soda on the affected area. Leave it on for a few hours and then wash it off. Repeat daily for about two weeks. A combination of cornstarch and vinegar, preferably apple cider vinegar, is another useful remedy to do away with whitehead-type milia. 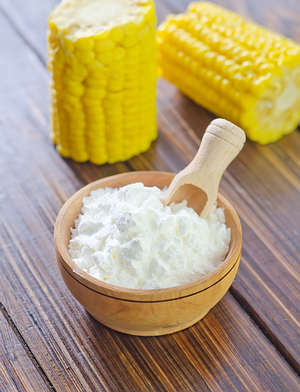 Cornstarch absorbs excess oil and vinegar works as an astringent. Add enough cornstarch to one teaspoon of vinegar to make a paste. Apply it on the affected area and leave it on for 20 to 30 minutes. Remove the paste with a washcloth soaked in warm water and then rinse your skin. Do this daily until your bumps are gone. In most cases, it shows positive results within a few days. You can also apply a combination of equal parts of aloe vera gel and green tea. Leave it on for about 15 minutes and then rinse it off. It is particularly good for the area around the eyes as it helps fade dark circles, too. Fenugreek leaves are extensively used in Ayurveda as a beauty aid to get rid of acne breakouts, blackheads, milia, boils, and blemishes. They have antiseptic, anti-inflammatory and antioxidant properties. 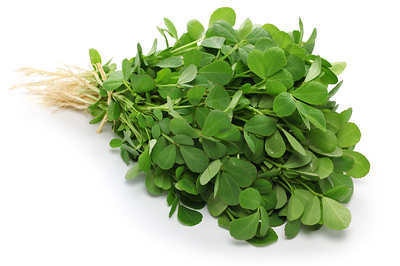 Grind a handful of fresh fenugreek leaves along with a little water. Repeat daily until the bumps are gone. I just started this sugar scrub about two nights and the results are amazing! Milia is almost gone. I like this! I’ve had this milia for years and I wish I found this earlier!! I clean the area and needle with alcohol then lance the bump and with some tweezers I pull that hard white pearl-type junk out. I am 11 and wanted to try the pomegranate peel one I just wanted to know how good it works and wich is the best. Thx! I agree. The pomegranate one did not work for me. Everyone is different though, try it if you think it will work for you! The sugar scrub, aloe, tea tree, honey, and hot cloth were the ones I tried. The sugar scrub worked for me the best. I used the facial sauna and tea tree oil methods. Might not be the best method to choose for african american skin because although my milia has gone down significantly 3 days in, they are drying out so much that it is leaving me with scars. It could also be that I am using an ultra high grade tea trea oil. But regardless, I’d rather use products to get rid of the scars now and cover up with makeup than to deal with this milia another month! thanks for the above information I got an idea on how to remove my milia its ugly when at your face!!!!!!! I took a hot cloth soaked in peroxide and placed it on the spot. As soon as it was nice and hot, I took a sterile needle (used match) and poked a tiny hole into the milia. I pinched gradually all of the infection out of it, added more peroxide and added antibacterial ointment over it. A week later there were tiny scabs (like a pimple) and then they went away! You can’t see the spots and they havnt been back. Hi everyone, I have had bother with milia for a good few years but over the last 6 months or more they have become really bad just on the bridge of my nose and going towards my eye. The sugar sounds good but I also have very sensitive skin prone to dryness and I am not too sure that an oil or vinegar so near my eye would be a good idea. Any suggestions for something I could use that would be less likely to irritate my eye? I am very prone to dryness too. I recommend applying your moisturizer while your skin is still damp, and scrubbing with a wet washcloth when you wash your face. Exfoliating actually should help your dry skin. Just don’t use hot water, use lukewarm because hot drys out the skin. I have found baking soda to be good & gentle for milia exfoliation. Add a bit of water to form a thick paste & apply in circular movements. 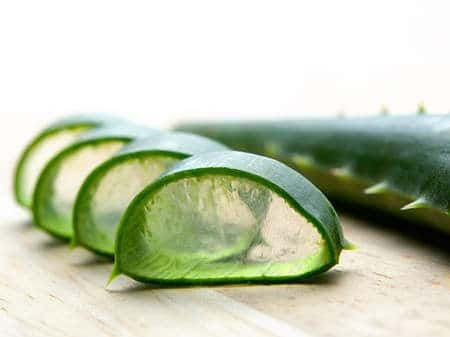 A healing lotion like aloe will aid in healing. had a milia for years. just one sugar scrub and its gone! i recommend . I think I’d try the sugar scrub…but please can anyone confirm if the cornstarch vinegar works or not …that sounds promising but I can’t risk it..I’m doing this for my moms skin she’s really freaked out about it…we aren’t 100%sure that it is milia but looks more or less like it…. I am doing the facial scrub together with the sugar scrub. I noticed that my milia are getting smaller, and my skin becoming clearer and smoother. You have nothing to lose with this method. It is all natural.